This is the summary of consumer reviews for Genesis GMT15A Multi-Purpose Oscillating Tool. The BoolPool rating for this product is Very Good, with 4.30 stars, and the price range is $39.99-$49.99. The Genesis GMT15A Multi-Purpose Oscillating Tool is the most useful and versatile power tool for home repair, remodeling and restoration. 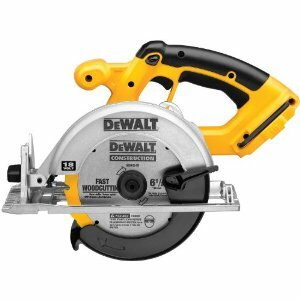 The unique oscillating action of the head allows for use as a detail sander, close-quarter saw, drywall cut-out tool, power scraper, grout removal tool, and more. A full line of Genesis accessories is available or you can use the included adaptor to attach other brands of accessories to the Genesis Multi-Purpose Oscillating Tool. 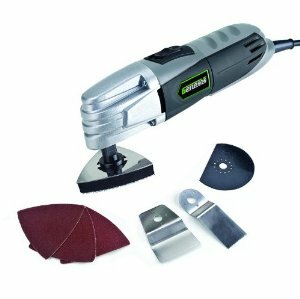 It has a powerful 1.5-Amp motor which gives 21,000 oscillations per minute for fast sanding, grinding, cutting and scraping. A die cast aluminum gear housing gives durability and 4-Pin flange design holds accessories firmly in place. The grip is comfortable and non-slip. It handles many applications that used to require hard work by hand or expensive specialty tools. 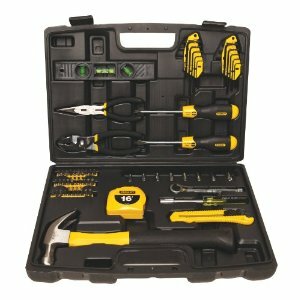 The tools cuts with good precision and is good for tight spaces. Some users report that this tool is not the best tool for curved cuts. Also the metal backer on sanding pad is same size as the pad and therefore does not work well in tight spots. The Velcro wears off the pad in fairly short order and it falls off. Overall, the Genesis GMT15A Multi-Purpose Oscillating Tool is an incredibly versatile tool which every home owner or DIY person much own. 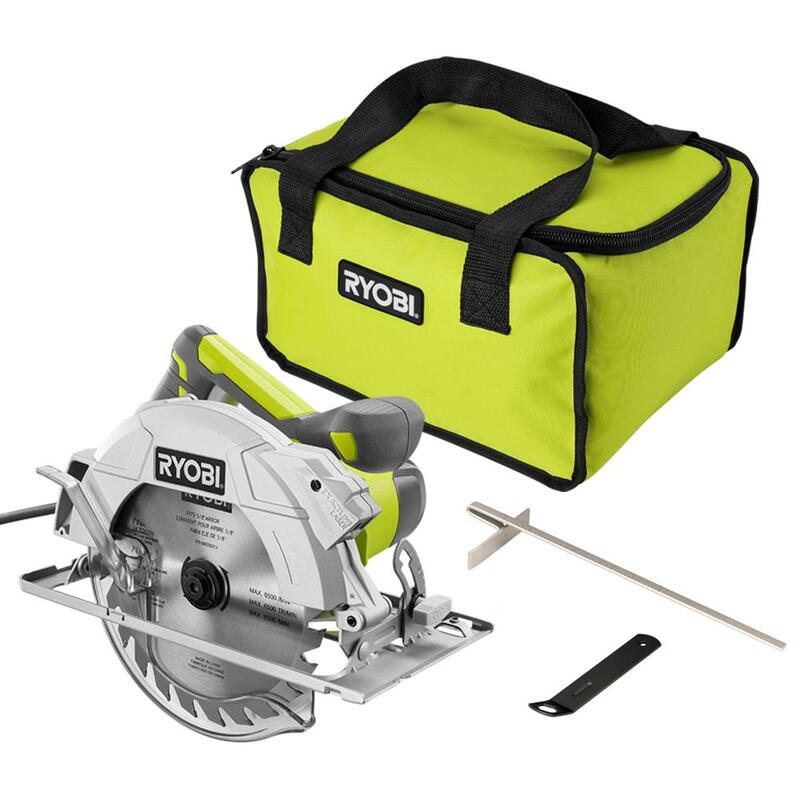 It includes: 3” Delta Sanding Pad, Assorted Sandpaper, Scraping Blade, 30mm E-Cut saw blade, HSS segment saw blade, Allen Wrench and Accessory Storage Box. The triangular sanding pad is made with a hard metal top, foam inner and velcro-type sanding pad. metal backer on sanding pad is the same size as the pad so it hits anythingyou are trying to sand in tight places. Replacements are about $7 so if your going to do a lot of sanding, order extra replacement pads. When sanding in a corner, the sanding pad fits nicely into the corner. All three parts of the sanding pad are the same size and shape. I also bought some Bosch detail sanding paper from here and although the sandpaper pads are a little bigger than the Genesis stuff, the paper lasted longer and is of better quality. The tool also supports replacement blades that aren't made by Genesis, so I'm hoping I can find a smaller sanding pad from a different brand. This makes sanding tight spaces impossible. After a few hours of sanding using course paper, the pad was shot and the great value I purchased was no longer looking like such a great deal. I replaced the pads about four times as the Velcro wears off the pad in fairly short order. The saw works very nice to get into tight spaces and make straight cuts. The vast majority of saw blades are *not* intended for cutting steel, even if they say they can cut metal. With a saw blade, this tool is very good for making precise cuts and for blind cutting. 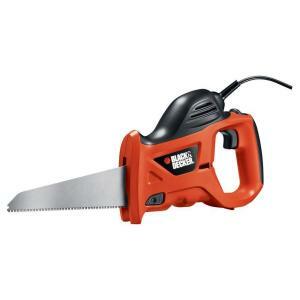 I cut is easily with the Genesis and a 1-3/8-Inch Bi-Metal Universal Oscillating Saw Blade. The scraper blade works well for cutting various materials, including carpet and carpet foam. I did cut all five door moldings but it was very frustrating to have the saw cut off every few seconds. Wear work gloves to protect yourself from the vibration and accidentally cutting yourself. It can fit in tight spaces and is unlikely to cut anything you don't want cut. So far, I've only used the saw blade and scraper blade. 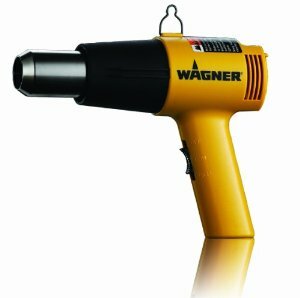 It isn't fabulous for curved cuts, but for general demo work and dry wall work, this tool is excellent!. 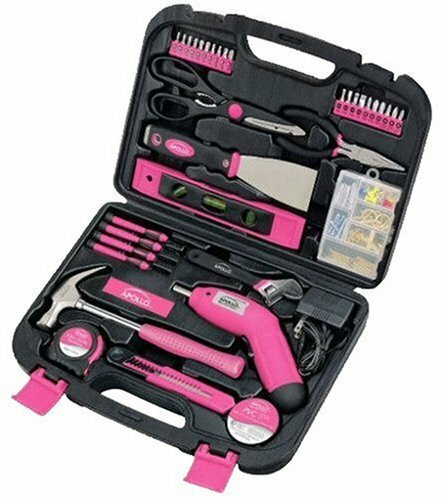 I've used it to cut PVC pipe, drywall for outlets, flooring, and to cut off some stubborn nails. -Cut outlet holes in beadboard. When purchasing the Genisis Multi Tool, If you're doing lots of wood & metal cutting I recommend buying extra Bi-MetalFlush Cut Blade. -Cut baseboard molding already attached to wall. I've used this for cutting metal and plastic pipe, a fiberglass shower stall, cutting sheetrock holes and gouging wooden wall studs to make a shower fit in an old house. It cuts through studs like butter. This tool made straight cuts (head on), side cuts where the blade was positioned at a 90 degree angle to the tool body. 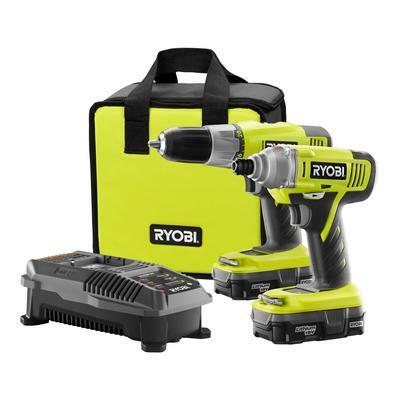 Makes clean cuts for drywall repair. It was easy to control and quickly cut thru 1/2 plywood. The cutting tool works excellent for drywall and soft wood ( like baseboards ) for anything the needs straight edges like wall outlets and switches or recessed vanity mirror. The wood saw works well. It works great and the blade I've been using to cut wood, composition board and drywall is still working well. Options seemed to be to cut the bolt and the flush cut metal blades appeared to a great choice given how well the wood blade worked. Worked great for that, and I keep finding more uses: remove rotted doorway threshold, cut vent hole in tile backer board, cut slate tile. Blades hold up well on wood, but wore down fast on tile backer and slate. 4) I purchased a rasp and it worked well in tests, but left rather rough wood, would be good only for rough work. I'd use this only for small jobs like cutting drywall and minor wood trimming. I've used it to cut plastic waste piping, trim plastic laminate, sand tight corners, and trim door casing for new tile. I bought this tool for a job at work, and my boss bought a Fein tool for the same job. This unit will do the job for 1/2 the price of the more well know units. Bought a Dremel type and used it for one job and everybody wanted one. This tool did the job I bought it for with ease. I just had a small job to do and couldn't justify spending $80+ dollars to do the job. Will be getting more attachments for any future jobs. I already tried it on a big job that involved breaking quite a bit of dry wall, ply wood and 4x1 and it performed flawlessly. It did its job efficiently. I've used it on two jobs and it's preformed well. The wood blade works very well for difficult cuts. I've replaced blades and have found the Harbor Freight blades work as well. I'd the putty knife snap at the riot points, and the wood blade dulled... but I bought extra blades which seemed to be better. You're buying a motor with cheap blades. I can't say I like the regular saw blade that comes with the unit, but the other blade works great; it cuts much too slowly. Semi-circular Blade for cutting through shims and trimming is thin, bends when heated up (but can be flattened back in shape after use) and the cutting "teeth" go dull so one needs to have a supply of replacement blades. Further, you can buy blades at Harbor Freight pretty inexpensively. You're better off spending the price difference on a spare tool (just in case) and lots of blades. Great tool but a wood/metal blade would be better than just the wood cutter. It's worked great so far (for cuts in wood and some sanding).